The Ferrari Berlinetta Boxer (BB) 512 is a two-door sports coupe built by the world’s most prolific sportscar manufacturer. Released in 1976, the 512 superseded the previous Berlinetta Boxer model, the 365 GT4 BB, are car itself that was built to replace the 365 GTB/4 Daytona. Power came from a 4943cc, dry sumped, flat 12 cylinder motor that produced 360hp and a remarkably sweet engine note. The shove from this Maranello marvel was sent to the 512’s rear wheels via a five-speed manual transmission which utilised a dual-plate clutch to make life a bit easier for the driver's left leg. The 512 BB is an exceedingly rare car these days, as only 929 examples were ever produced, and less still exist today. 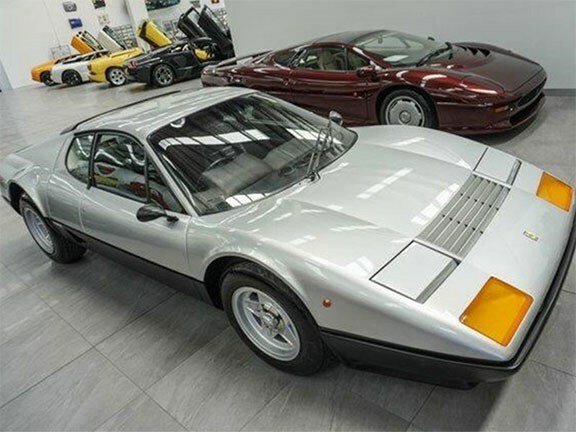 This particular 512 BB is a 1978 model finished in Argento Silver with a contrasting Ash Black leather interior. According to the seller, the BB has travelled an unbelievably low 14,311 miles from new and is a matching numbers vehicle. The gorgeous Berlinetta Boxer is $698,000 and anyone interested in this mid-engined thoroughbred stallion can view the full listing here. How on earth does this car exist? Long-tail Jag offers a lot for the money.